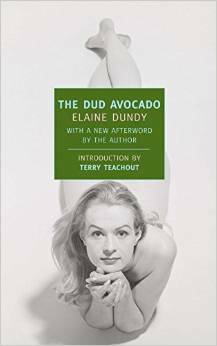 The Dud Avocado, Elaine Dundy, New York Review Books Classics, 2007, ISBN 978-1590172322, 260pp. I tried to read this book several times over the last two years, leaving it beside my bedside. Yet I could never get past the first twenty pages or so. In many ways, for a “classic,” it is very much a contemporary novel: told in first person, more about character and place than plot, self-absorbed. Unfortunately, all three of those are things that make a novel less interesting for me personally. The basic premise is following a young, idealistic American girl in Paris in the mid-20th century. You may find this more your cup of tea if (a) you are a young, idealistic American girl or (b) you are interested in a picture of Europe in the middle of last century.